Trisha Dellinger holds a Bachelor of Arts degree in political science from the University of North Carolina at Chapel Hill, North Carolina and a Juris Doctor from the University of Miami School of Law. She was admitted to the bar in 1997 and joined the firm in September of that year. Her areas of practice include commercial and residential real estate transactions, elder law, and estate planning. She is a member of the Volusia County Bar Association and Florida Bar Association. She is the past president and current member for the Volusia/Flagler Association for Women Lawyers. 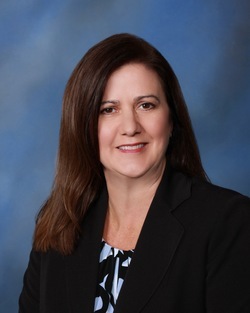 She is a director of the Real Property Council of Volusia County and a committee member of the Elder Law Committee of the Volusia County Bar. She is also a member of the Academy of Florida Elder Law Attorneys, National Academy of Elder Law Attorneys and the Elder Law Section of the Florida Bar.